It’s good to talk, but there are definitely some conversations – and questions – we would all avoid if we could. Like when parents ask questions about relationships, or when a personal trainer asks if you’ve stuck to your plan for the week. It’s all too easy to bury our heads in the sand, and dodge tricky topics instead of facing the hard conversations head-on with confidence and tenacity. But a recent experiential campaign drew attention to one important topic which should definitely not be avoided: perceptions of sexual and gender identity. 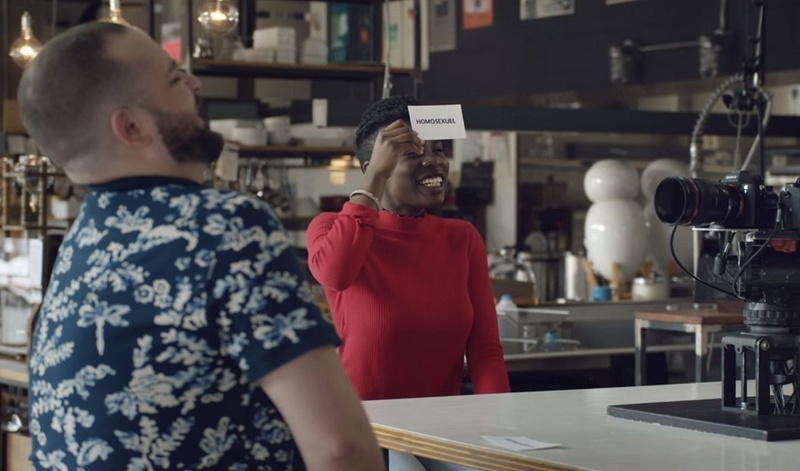 As a partner to Pride events around Canada, cellular telephone service provider Fido created a game to encourage people to talk about the issues surrounding gender equality that are shockingly still present in today’s society. 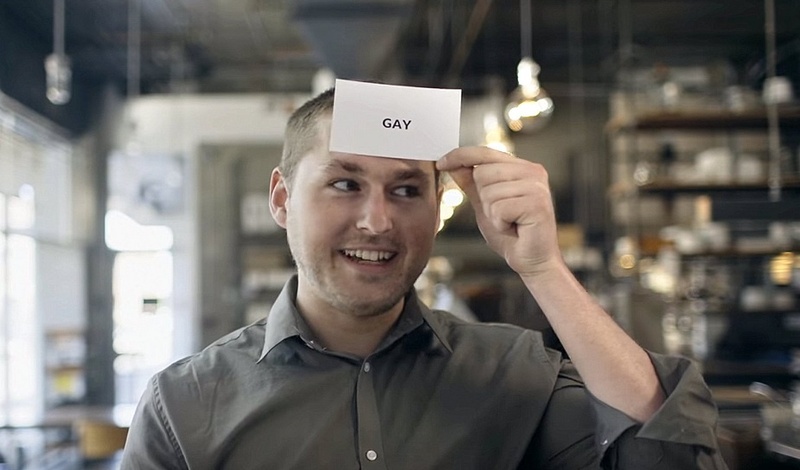 Fido invited a group of mixed genders to play a classic game of ‘Who Am I?’, in which people stick a note to their head with something unknown to them written on it. They then had to ask each other questions in order to figure out what/who is written on it. It’s a simple and fun game that most of us have enjoyed at least once in our lives. The game started off following the usual pattern, with people being astronauts, the Prime Minister, and a superhero, with the players all laughing in response. But it soon took a more serious turn, when sticky notes appeared the words gay, lesbian and transgender written on them. People were taken aback when they realised they were actually unsure what words they could use to describe the terms. When asked certain questions, people hesitated, highlighting the awkwardness they felt towards talking about the roles often associated to genders and those with certain sexual orientations. But this is something we should all be able to talk about confidently and with ease in this day and age. The moving experience was captured in an engaging video which was well received on YouTube and amplified on social media, and likely encouraged people to question their own perceptions of gender equality. A fun and lighthearted activation which starts by getting consumers engaged, and then seamlessly takes a turn towards a more serious message can be a great way to make people sit up and listen. For another great example, take a look at this campaign by homeless charity Shanti House.